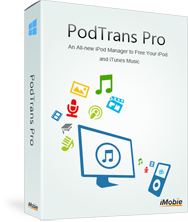 The ultimate transfer solution for all Apple mobile devices, including iPod, iPhone and iPad. A brilliant new way to expand music, movies and everything on your iPhone, iPad and iTunes. Please add no-reply@cleverbridge.com to your white/safe list to ensure our emails get to your inbox, or you may check the spam/junk folder. Need Multi-User License? Please contact us for the purchase link.